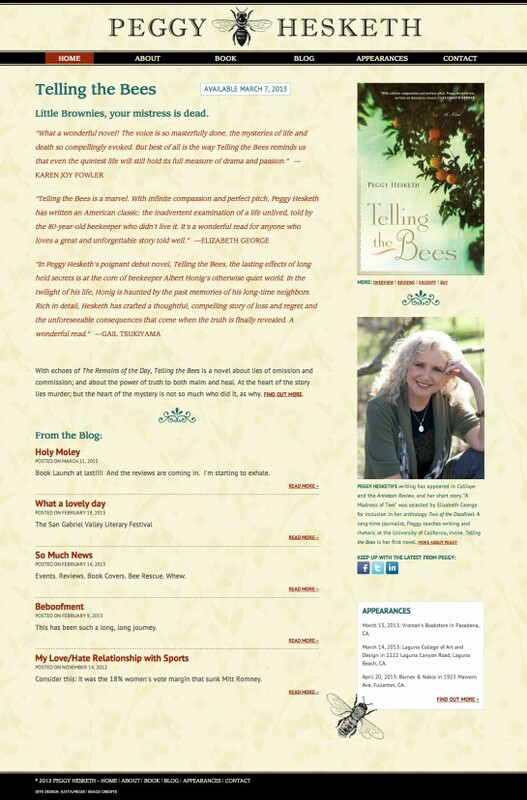 Author Peggy Hesketh came to us for a website even before her novel, Telling the Bees, had a finalized cover. We built her a site she could update herself, using neutral tones and themes from her book as the design elements. When the cover was finalized, we put it on the site and were pleased with how well the site complements the cover.